Thank the lord, the Edmonton Oilers are fun again. What was once a rudderless team that not even Connor McDavid could keep afloat is on a roll since the arrival of new head coach Ken Hitchcock, who was brought in after 20 mediocre games this season. Under Hitchcock, the Oilers are 8-2-1, riding a four-game win streak, and suddenly look threatening near the top of the Pacific Division. On Tuesday night, the team beat up on the Colorado Avalanche 6-4—a scoreline that flatters the Avs, who scored twice in the meaningless final minutes—and showcased the full potential talent that true believers hoped was there even throughout a dreadful, 78-point 2017–18 season. This performance had it all, but first and foremost—as with all Edmonton Oilers games—it had Connor McDavid. 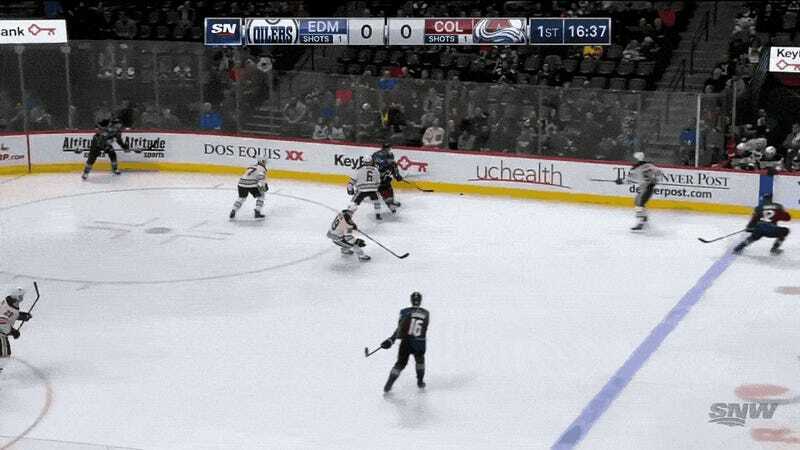 McDavid got the fourth goal of the night and his 17th of the season by turning on the jets in the neutral zone to pick up a long cross-ice pass from Leon Draisaitl and then stick the puck under Philipp Grubauer. It was beautiful, because it always is. But that’s not all. Aside from inexplicable exploding glass, which is thrilling so long as nobody gets hurt, this game also had a decent fight! 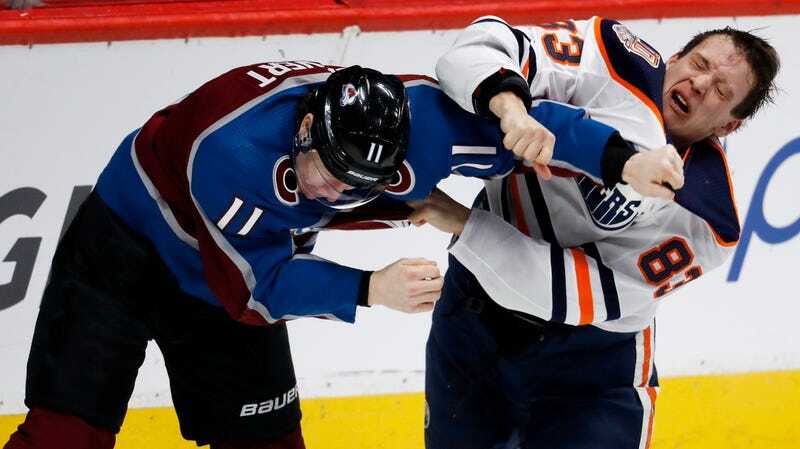 This was between Colorado’s Matt Calvert and Oilers D-man Matt Benning, and Benning held his own and landed a couple of blows in his first scrap of the year. There’s a brutal feistiness to the Oilers now, and that’s particularly come to the forefront in their rivalry games against first-place Calgary. It’s too early to tell if this hot streak presages a long-term change in their fortunes, but the Oilers (as a team, not just their one MVP) are compelling competitors out in the West. They can bear down in tight games or let loose in high-scoring ones. They can fight and they can stop pucks and they have a couple of world-class young forwards providing the offensive muscle. These last three weeks have been was what it was supposed to be like since, oh, about the start of last season.